These miniature inrush current limiters are your solution for space-sensitive applications. The miniAMP series is designed for applications where board space is limited and cool operation is desired. The cost effective miniAMP inrush current limiter is an efficient way to protect components such as relays, diodes, and fuses from inrush current. 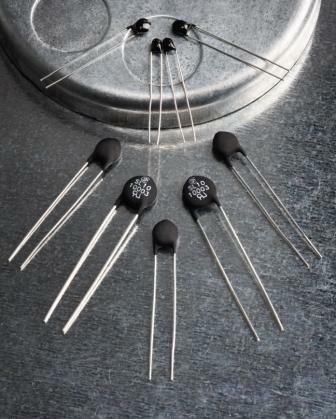 The miniAMP series is available in 3, 5, and 8mm diameters and weigh as little as .06 grams. The miniAMP series cold resistance ranges from 5 ohm to 220 ohm. This inrush current limiter series is rated for 250 mA to 3 Amperes continuous current and up to 20 joules of input energy. The operating temperature range is -40 to +150 degrees C. The radial leaded inrush current limiter is available on kinked or straight leads. 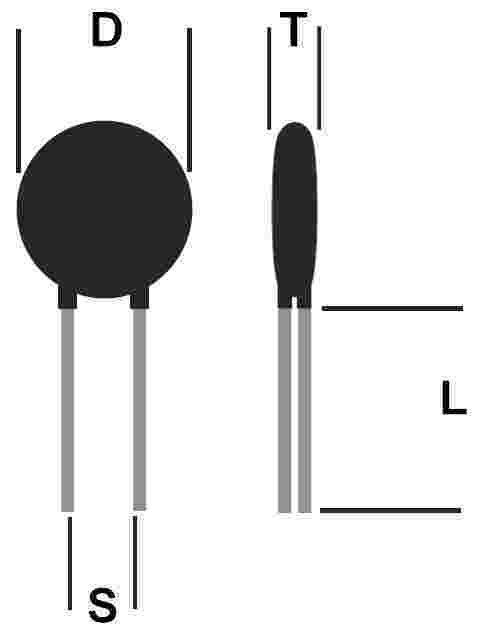 The standard lead length is 1/2 inch. The miniAMP inrush current limiters are packaged bulk and are available on Tape and Reel. Lead time for production quantities is less than two weeks. Evaluation samples are shipped within three days.